Buildings tell us stories. Homes built in the Washington Park neighborhood during the initial decades of the 20th C. have witnessed generations of residents, social and lifestyle changes, and cultural changes for over a decade. This story exemplifies the rich and varied history of homes as told by its architecture. Our story tells us how ownership changes, transformations in use, and social histories can be read in the architecture of a building. Located on the southern edge of Milwaukee’s Washington Park neighborhood this two-storied building is owned by the Cha family. The building faces the street to the south and backs onto an alley. To the east of the building is a parking lot. The building serves mixed uses because it operates as a two-story structure with a commercial space on the first floor and residential space on the second. The mixed use building is a very common urban vernacular building type in the United States (Butler, 2007). In recent years such buildings have seen a revival in architectural and planning circles. (Witherspoon et al, 1976) Our analysis of this building demonstrated how mixed-use house forms accommodate changing cultures and lifestyles and contribute to urban resiliency. Our research uncovered that this building had a long history of commercial and residential occupancies. As a result, the building has seen many internal changes to its architecture and its history can b﻿e split into many historical phases as deduced from our analysis of its architectural details and historical records. 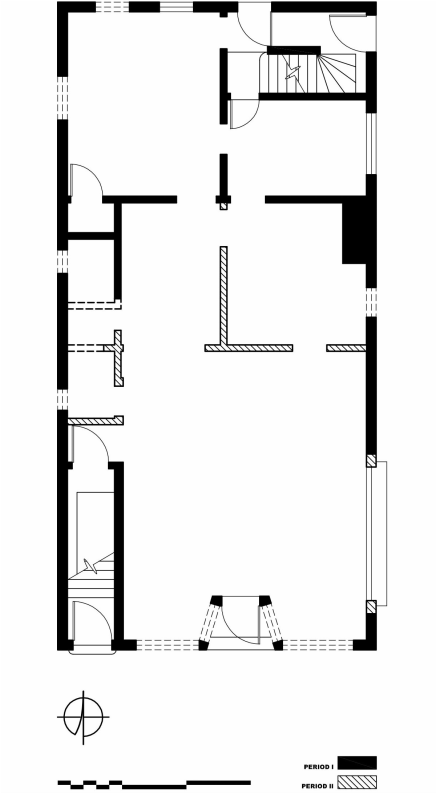 The basement functions as a utility and storage space. The attic has one bedroom located in the north-west corner and a storage space too. The attic remains relatively unchanged since this building was built, other than the bedroom constructed in the '50s. 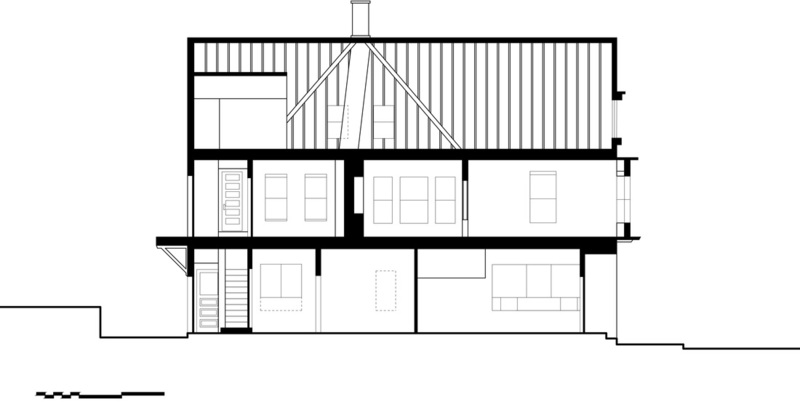 The first floor has aluminum clapboards, while the second floor and the attic are covered with wood clapboards. 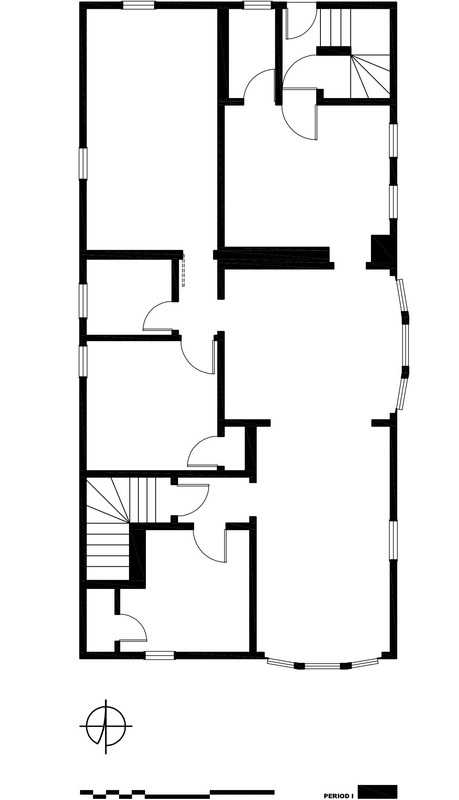 The ground floor plan operates as an open, commercial space, currently being renovated into a restaurant, with a large public space greeting the entry from the street. The ground floor has gone through many changes and the imprint of the older layout can still be enciphered on close inspection. For instance, the remains of a stairwell and what used to be a bathroom space can still be seen in the ground floor. 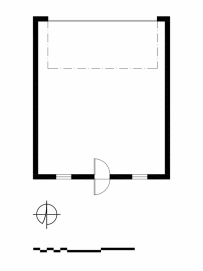 The second floor of the dwelling has a front/back interior layout that remains mostly unchanged. 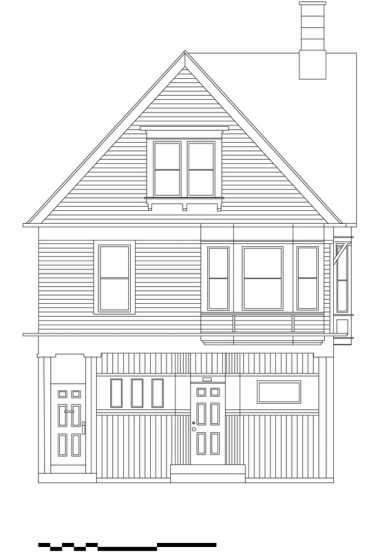 This includes a front section with 3 bedrooms, 1 bathroom, 1 kitchen, 1 pantry room, 1 dining room and 1 living room on this second floor. The front section has three bedrooms and an newly added temporary partition by the front-bay window for private office space is accessed via a front stair entry. Adjacent to the living room is the dining room space. The ornamentation in the front rooms mimics a classical style, with ornamental ionic wood columns, built-in cabinetry and door frames consistent of its initial construction. The dining room is definitely the most decorative room in this house. It has a very luxurious built-in furniture. A cabinet with a built-in mirror sits on the south side of the room. On the other side of the room, there is a column screen which has the same designing features as the built-in cabinet except for the mirror. The wood trims along the sidewalls are used to display family photos and plants. It was very likely that John L. Reisner and Elizabeth Reisner occupied the master bedroom in 1909. The couple, John’s sister-in-law and two of his nieces lived with them till 1930s. There used to a door connected to the kitchen from the master bedroom, but it’s now closed off. Without having a servant in the house, we can imagine that how the Reisner couple may have maintained the household and cooked meals for the five occupants in the house indicated in the manuscript census from that period. What remains interesting about this house, specifically about the second floor, is that the bedrooms are used in a different way today. The dining room and kitchen remains the central space with family photographs and plants. The significance of the kitchen is evident from the consistent cooking smells. The dining+kitchen space is always occupied and used; food and cooking equipment are left out on the table in preparation for family meals. The space is decorated by temporary fixtures, framed photographs of immediate family members indicative of their successes (sons on football team, daughter as valedictorian, and other awards such as recognition for Uncle’s radio station). The living room is used in a very different manner compared to its formal use in the past. The living room is divided it into two spaces: an office space on one side and a space to view the television on the other. City of Milwaukee, “Building Inspection and Safety Engineering. Premises Record,” file (#73-0101), Development Center. U.S. Bureau of the Census. Prepared by Bureau of the Census. Washington, DC, 1910-1930.